​regular 60 or 90 minute massage session at no additional cost. 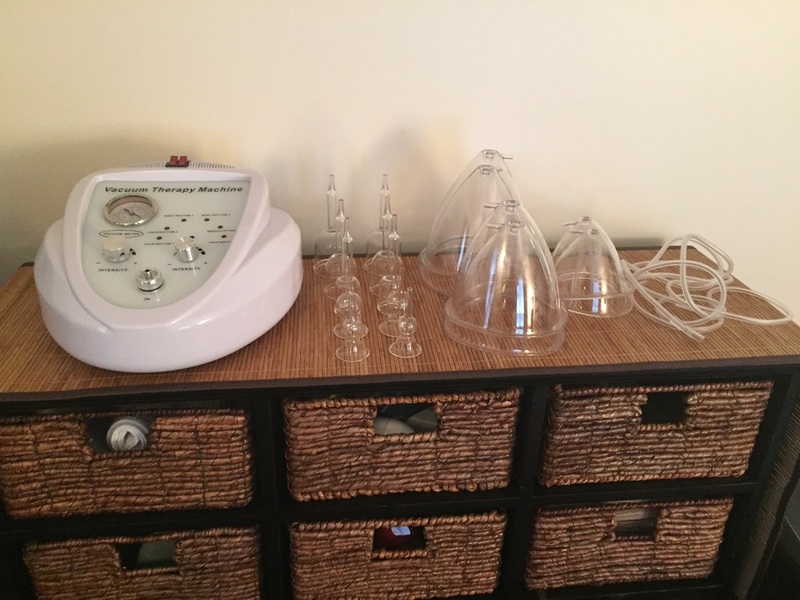 ​This therapy utilizes glass and/or plastic cups with a machine to create suction on the surface of the body. These cups are moved over the skin using gliding, shaking, and rotating techniques while gently pulling up on the cup to facilitate joint mobilization or soft tissue release. 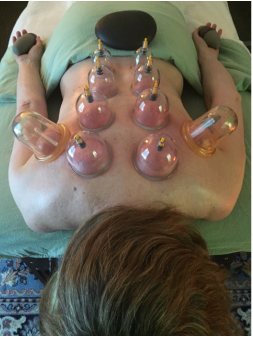 The suction can reach deep into the soft tissue or can work superficially to pull inflammation and toxins toward the surface of the skin so that the lymphatic system can aid to eliminate them. Bluestone Massage & Bodywork offers the newest state-of-the-art Vacuum Therapy equipment.